Just in time for summer! 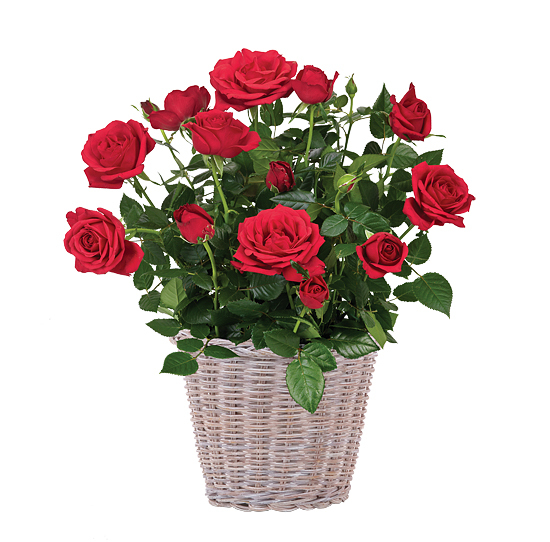 Make a splash by sending a symbol of thoughtfulness that will continue to grow year after year. 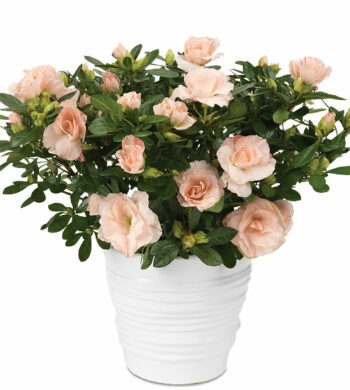 Our miniature rosebush will arrive in bud and bloom and is available to surprise anyone for any reason; thank you, thinking of you, birthday, or get-well wishes. 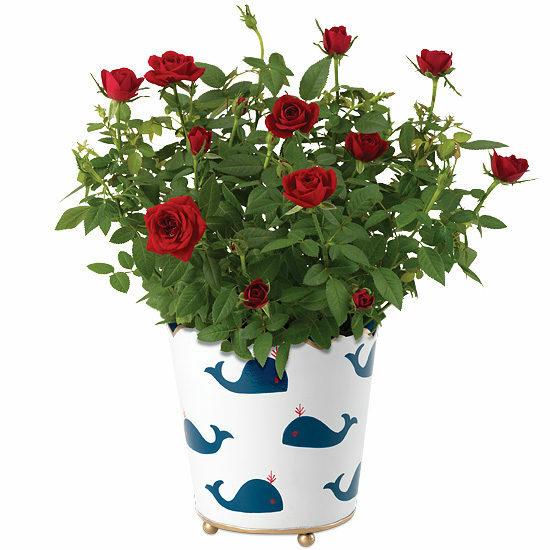 Our winsome whale pattern adds a playful touch to the footed cachepot.